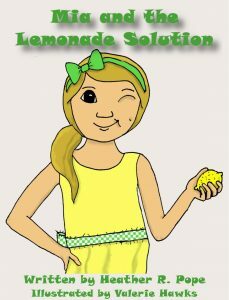 Join local book author, Heather R. Pope, as she launches her first book titled, “Mia and the Lemonade Solution”. Families are invited to bring their children for light refreshments and children’s activities. Miss North Carolina will lead a special reading of the book during the event at approximately 11 a.m. The event will take place on the 2nd floor of the Johnston County Public Library in Smithfield, NC in the multipurpose room. Books will be available for purchase on-site.